ri under the guidance of Gurdip Singh Sandhu. He started singing devotional song in local Gurudwara and which acted as a platform for him to travel on the highway of Music. Jazzy B Real Name Jaswinder Singh Bains is a famous Punjabi Singer and Song Writer . He is a Versatile singer who changed the era of Punjabi singing . In Punjabi Music Industry and worldwide he as earned a name "The Crown Prince of Bhangra" and "The Original Folksta".Jazzy B always considered Kuldeep Manak as his Mentor. His Family moved to Canada when he was just 5 years old. In 1997, Jazzy B had major problems with his throat which later required surgery. Having lost his voice and not being able to sing for over a year, he says he turned to God for help and with God’s grace he got his voice back. The reason for Jazzy B's popularity and success in Bhangra is his style which is quite different from other artists in the genre.He is famous in Youth with his Spikey Hairstyles ,with his unique appearance to his westernized songs and music videos. Honey Singh is today’s youth icon. His new flavors of music carve him as one of the remarkable individual . The Real Name of Honey Singh Is Hirdesh Singh and he is famous through out the India with Yo Yo Honey Singh Fame.He is Recording artist,Rapper,Singer,Actor and Producer. Honey Singh has received various awards ,among them are the ETC award for the Best sound in 2006 for his song Glassi and the PTC award for the Best Folk Pop Award 2009 for Rebirth and PTC Punjab Best Music Director 2011.It has been reported that he has been paid the highest fees ever for a Bollywood song (as of 2012) of 70 lakh (US$126,700) for a song in the film Mastaan. Education:-Guru Nanak Public School, Punjabi Bagh, New Delhi. Jasbir Jassi a punjabi singer and actor.He started his career 15 years back by recording for Punjabi Films.He made his recognition bright after his song Nishaani Yaar Di which created a sensation in Punjabi Music.The Songs which groomed his singing career were The title song Dil Le Gayee Kudi Gujrat Di of his second album which proved a huge hit and it brought Jasbir Jassi into Limelight of fame. Kudi Kudi from his third album and Channo Da from Nishani Pyar Di also did outstanding work in world of music. Harbhajan Maan ,The Punjabi Singer who Created a Bash with Oye Hoye. A singer with versatile voice and core understanding of Punjabi Music helped him in gaining an edge in this very own culture of Punjabi pop . 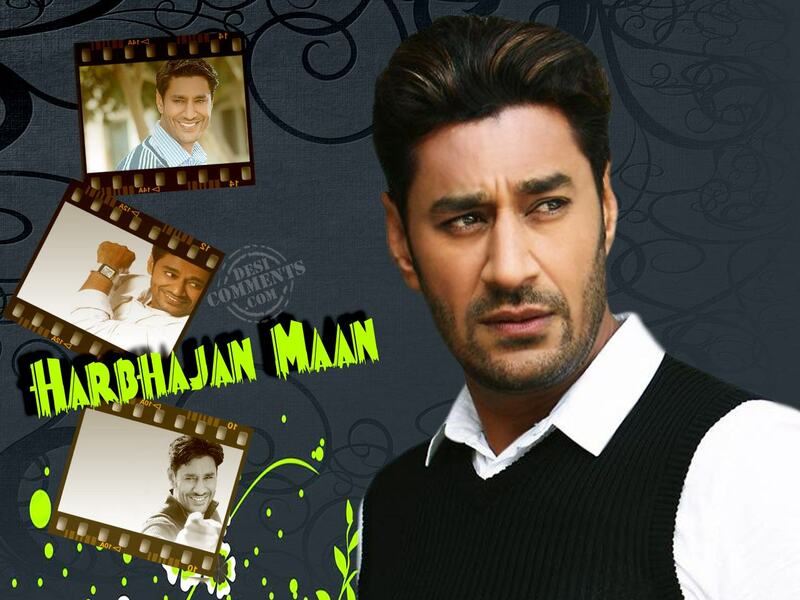 Harbhajan Maan is famous for his clean and meaningful which always has reflection of tradition and culture. He Started his singing career in 1977-78.